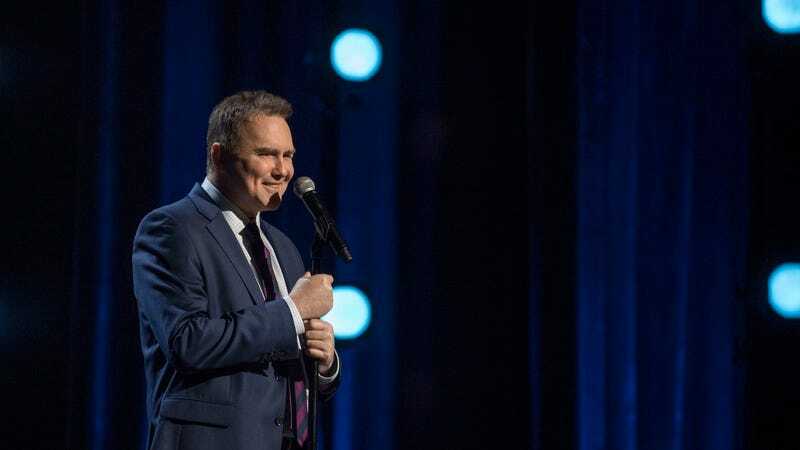 The comedian and author says Netflix pieced together material from the last couple of shows he did last year, which he shrugs off as probably his worst. It’d be just like Macdonald to downplay the strength of his routines, but while he ”[liked] the material,” he still thinks ”the material would be entirely different” if he had it all to do again. Still, Hitler’s Dog will probably “be one of the top 100 comedy specials that Netflix puts out this year,” which isn’t a sentence you come across that often. And in our own estimation, The A.V. Club saw the special as proof that Macdonald has actually grown as a comedian.